L'avant et l'arrière sont décorés de broderies de qualité supérieure. Beautiful vestment, well made and even better than before now that they have changed the gold braid for a softer braid. It no longer damages the albs. Much appreciated and I recommend this vestment. 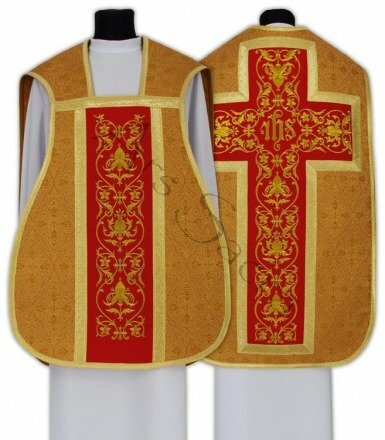 Very beautiful chasubles with good workmanship and the fine details are excellent.